The "1st New York Regiment, Continental Army"
FAIR HAVEN, NY – Continental Arms Collectors Association’s Revolutionary War Unit continued its long-time tradition of participation in the annual Save Our Fourth Independence Parade, on July 5. The group interprets a company from the 1st New York Regiment, Continental Army, in 1782. 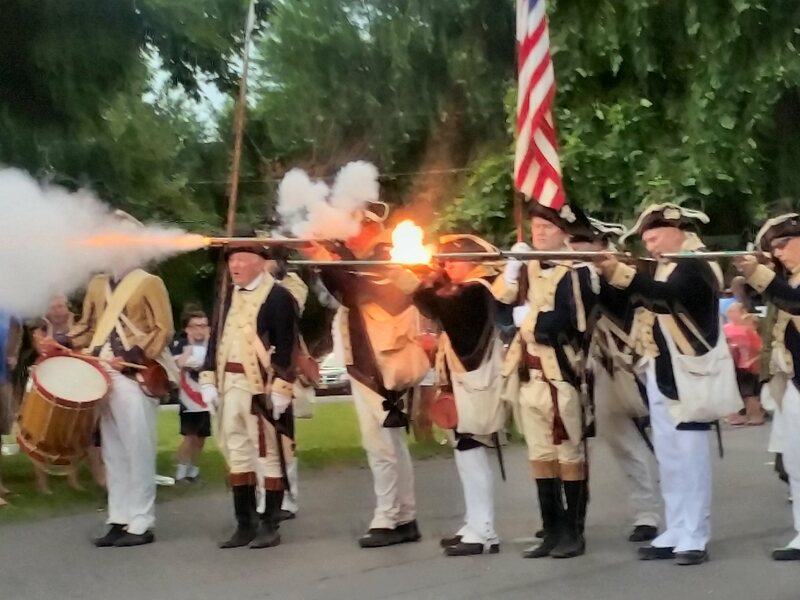 Armed, clothed and equipped with authentic reproduction items and using the Regulations for the Order and Discipline of the Troops of the United States, they fired many volleys, viewed by a record enthusiastic crowd, along the parade route.